We have arrived in Mexico! My brother-in-law Jim and sister Tish drove us the 25 miles to the border to give us more time. Entering Mexico was easy and we were directed to immigration for our 6 month tourista card at a cost of $22. 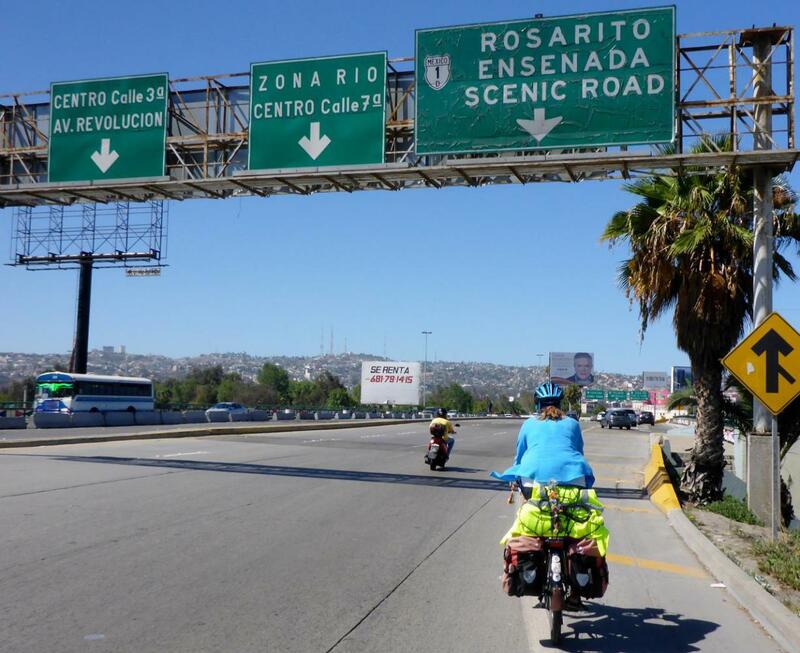 Soon we were navigating the very busy and narrow (no shoulders) Tijuana road to the coast. This road, Mexico 1 led to the scenic toll road with an excellent shoulder and we immediately saw large “no bicycle” signs. 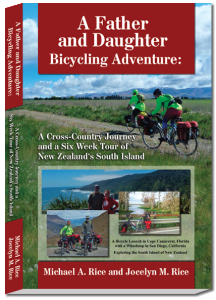 I have driven the free road several times many years ago while in the navy and did not want to bicycle it due to the heavy truck traffic and no shoulder. 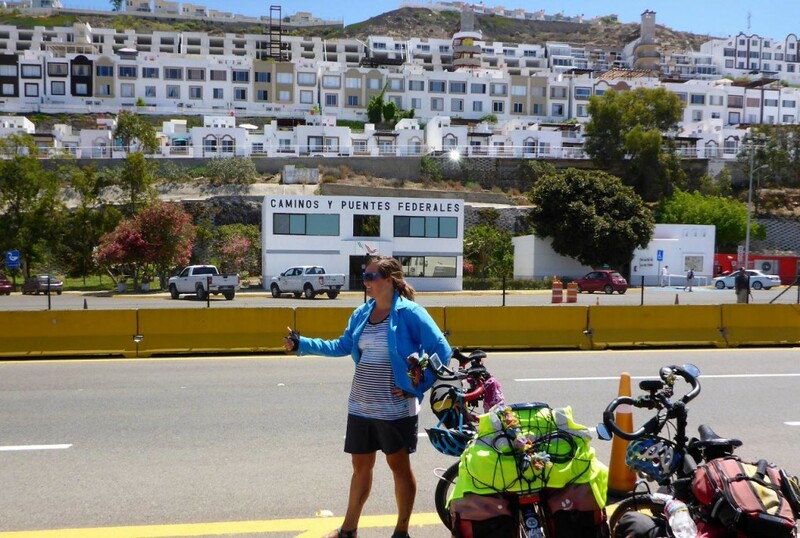 We were soon busted by rifle toting federales who whistled off the road. They told us no bicycles. After talking with them awhile we asked if hitchhiking was allowed. “Si, Si”, they replied. So Jocelyn stuck her thumb out. Many California trucks passed by without stopping but we couldn’t understand why. Finally a truck stopped and Jocelyn ran to it opened the door and was told “Where are you headed?” in English. 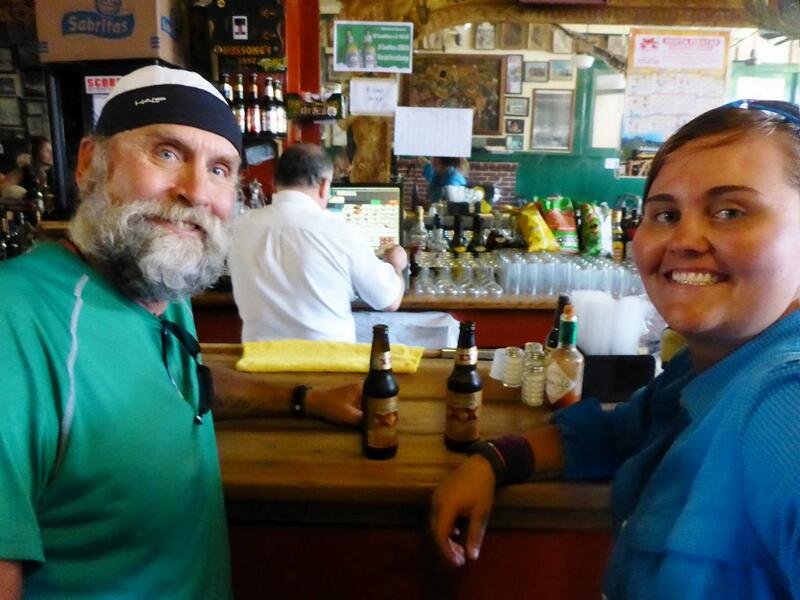 Victor was headed to Ensenada and owns a high pressure gas business and warmly welcomed us and our bikes. 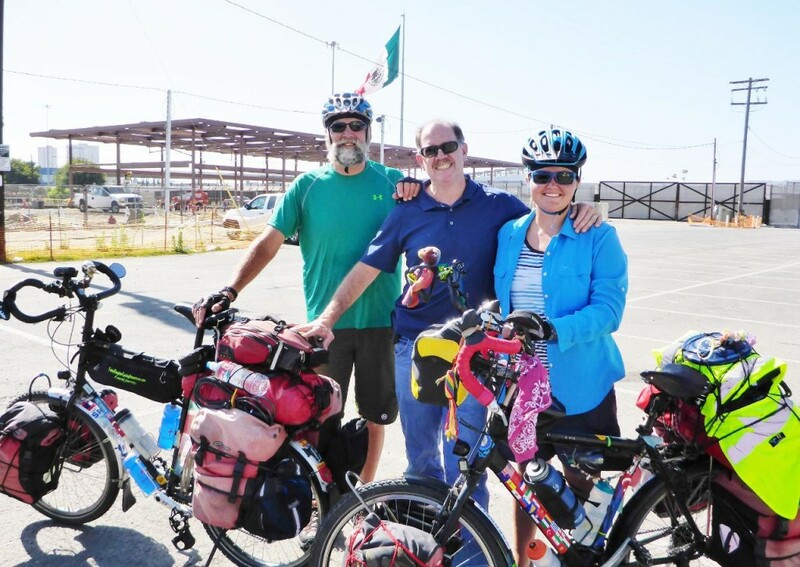 We thought about taking the free road from Rosarito Beach but then it heads inland so Victor took us the 40 miles to Ensenada and dropped us off at the port. 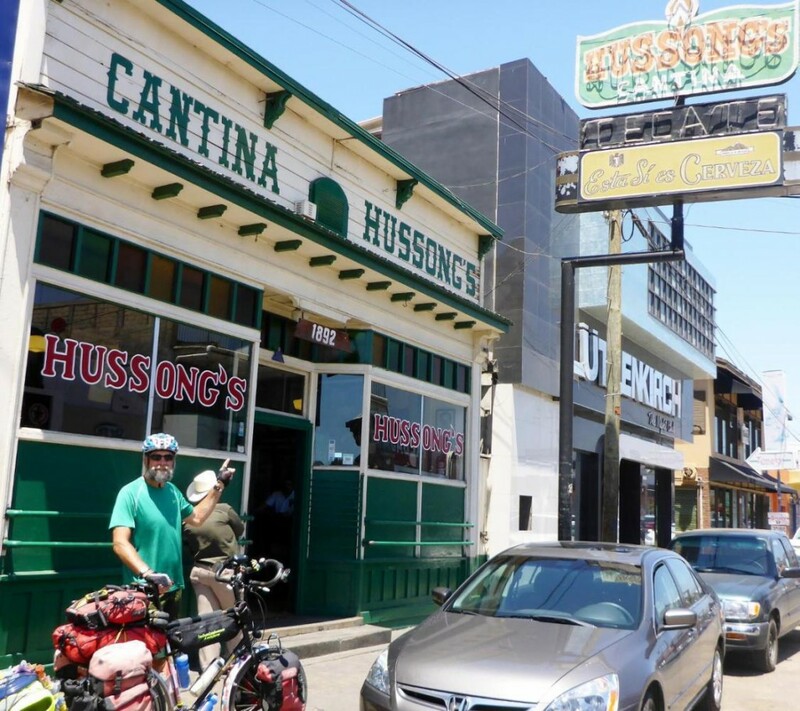 We soon found one of my old favorite bars; Hussong’s Cantina where we enjoyed two beers. Next door we ate at the Taqueria where I last had a “bean cone” 36 years ago! It was at this time that my fiancée, Andee and I along with Tish and several of Andee’s brothers drove to before our August 11th wedding for an early celebration! 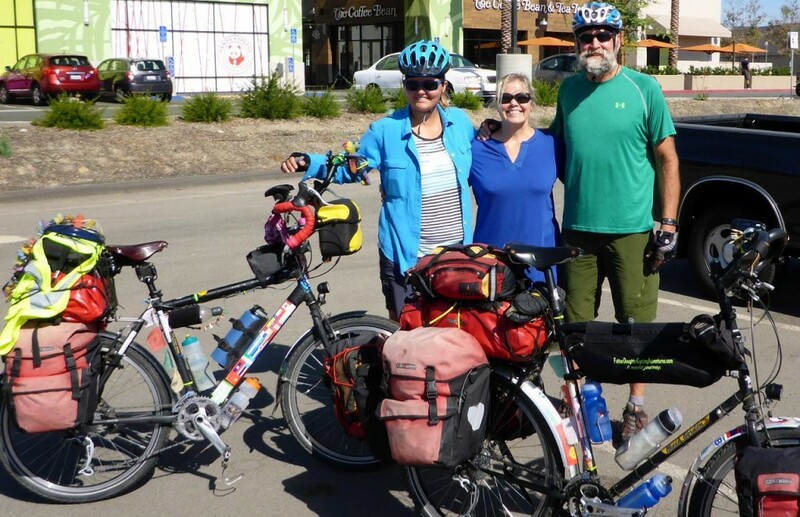 We then rode south of Ensenada and decided to stay at a hotel on Estero Beach. Tomorrow we will head inland into the hills. 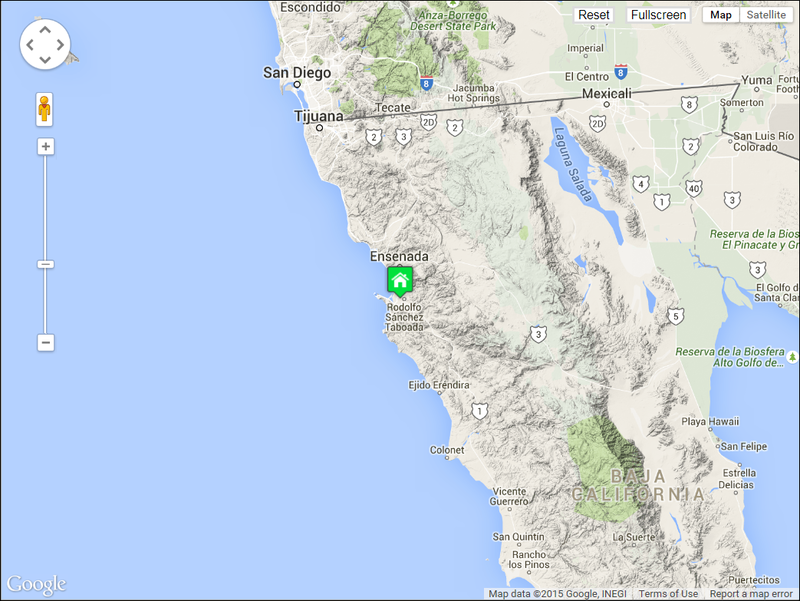 We figured out why so many California trucks passed us without stopping. One of the federales holding his rife stayed with us the entire time to make sure we didn’t try to escape up the road on our bikes. I know I wouldn’t stop and pick up a hitchhiker with a federale standing nearby! How funny! Jim and Tish drove us to the border. Thanks Jim and Tish for the wonderful hospitality. 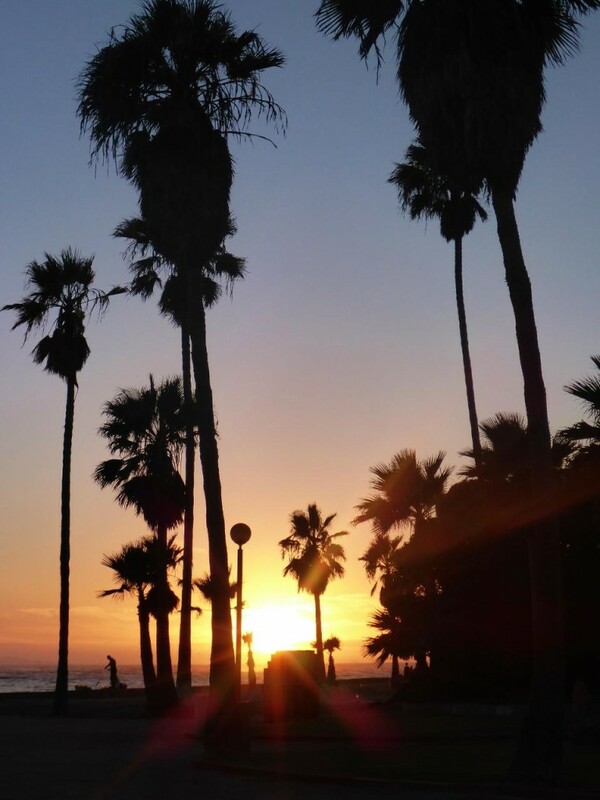 The morning beach walks, huge breakfasts, and fun dinners were great. After 11 days we were ready to ride again. To get through the turnstiles we had to lift the front of our bikes. I did get stuck and a kind federale helped me out after a long line appeared. Our road through Tijuana. We did make it to the coast over a long steep climb. 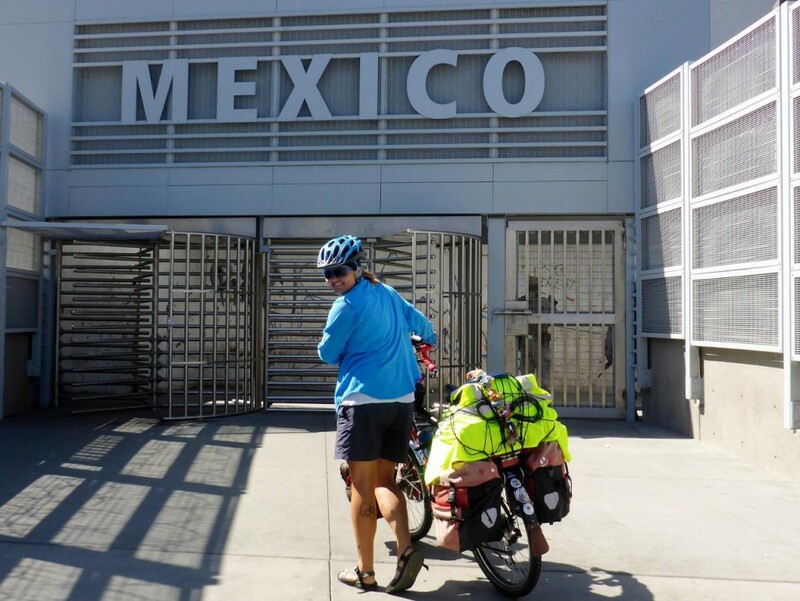 We attempted to ride the toll road but were immediately stopped by two rife toting federales as no bicycles are allowed. Interesting that the toll road which has nice wide shoulders is not allowed for bicycles but the free road which is very truck busy with no shoulders is the only way. 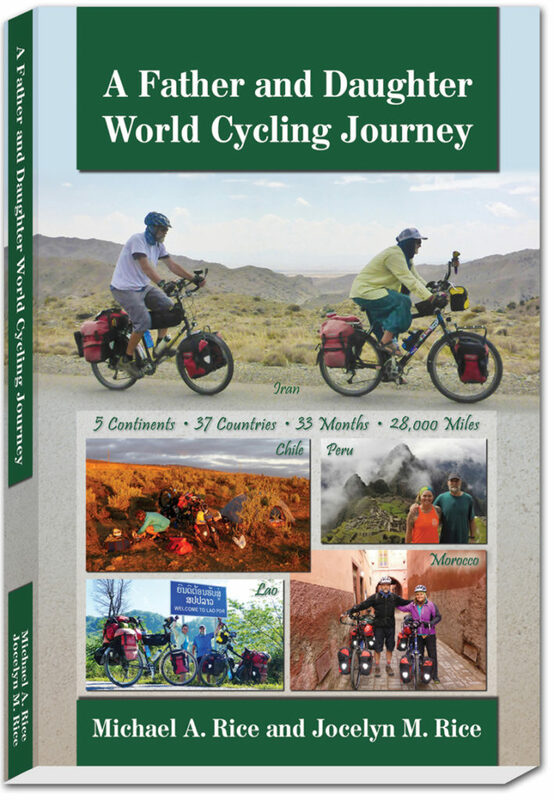 I have driven the free road many times and did not want to bike it. So with a federale standing next to us Jocelyn stuck out her thumb. No wonder so many California trucks passed us by. The Baja coastline driving to Ensenada. 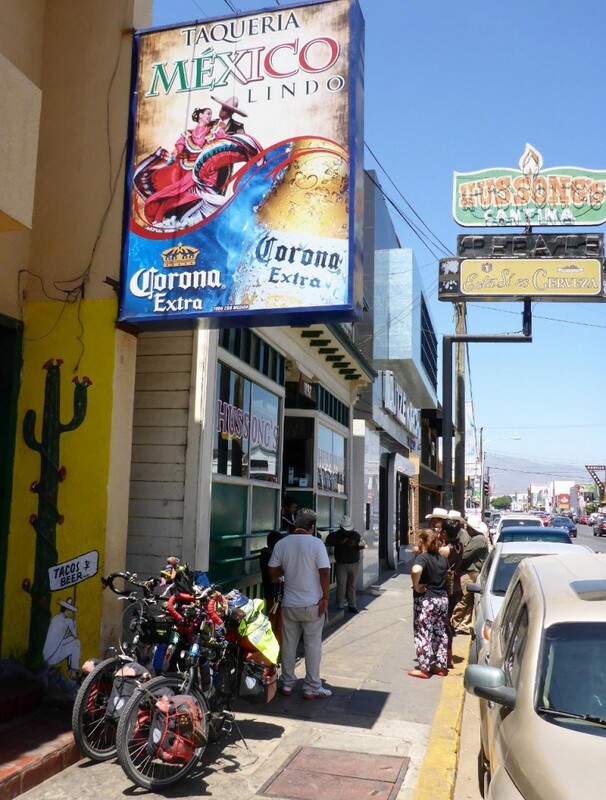 Hussong’s Cantina in Ensenada. Built in 1892 by a German named Johan Hussong. At first it was a stage coach stop then became Ensenada’s first bar. A very fun place to drive while I was stationed on a navy ship in San Diego. Many good times inside continue. Before Andee and I were married 36 years ago on August 11, 1979 we along with Tish and several of her brothers made the trek here from Anaheim, California a few days before we were married. 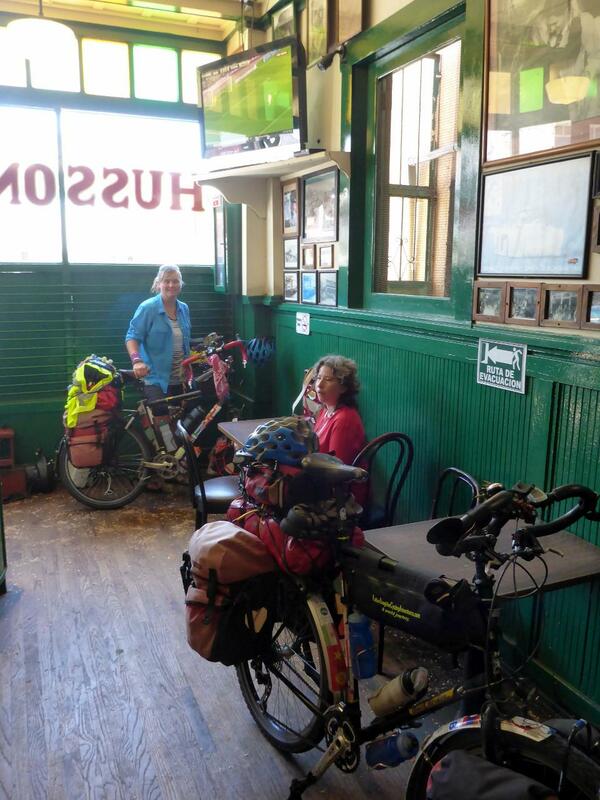 Our bikes also found Hussong’s hospitality very warm. …and they still make bean cones (on the left)! 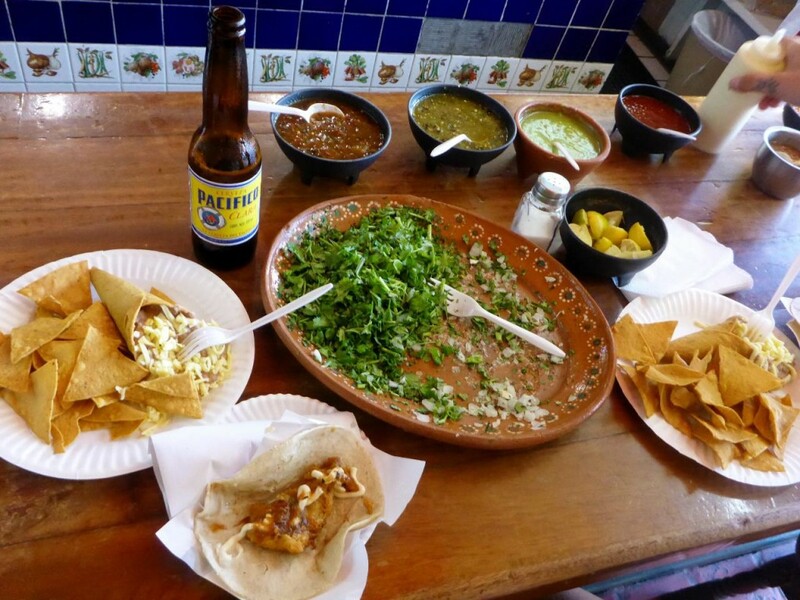 Along with that we had pescadero (fish) tacos. Downtown Ensenada. A cruise ship was in so the town was hopping. Plaza Civica. 3 giant heads of Mexican heroes. The beach south of town. Jocelyn is carrying an extra load of 5 liters of water plus a small fishing kit. Ensenada used to be a small fishing port along with a few small navy boats. Now it is a very popular tourist port. At our hotel I ordered 4 Dos Equis Amber cervezas. 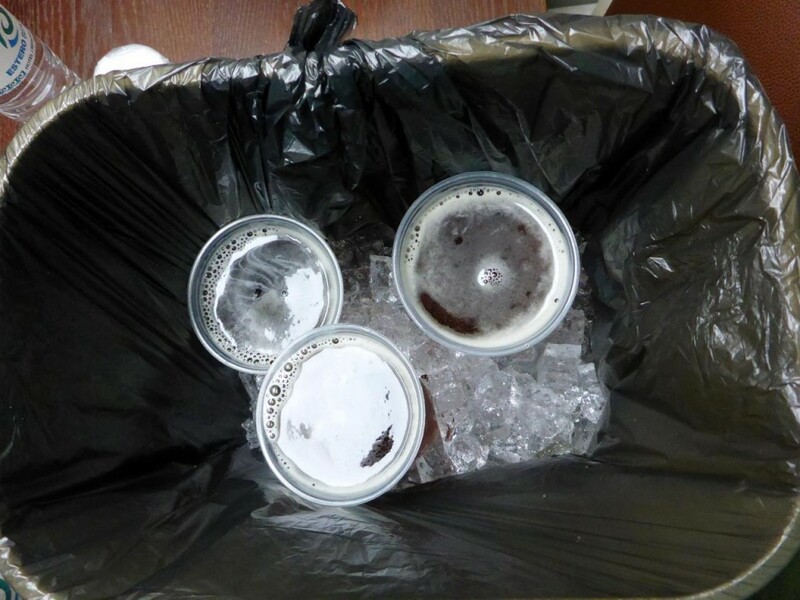 They came in cups so we placed them in our room trash can with ice. A beautiful and inexpensive hotel on Estero Beach south of Ensenada. 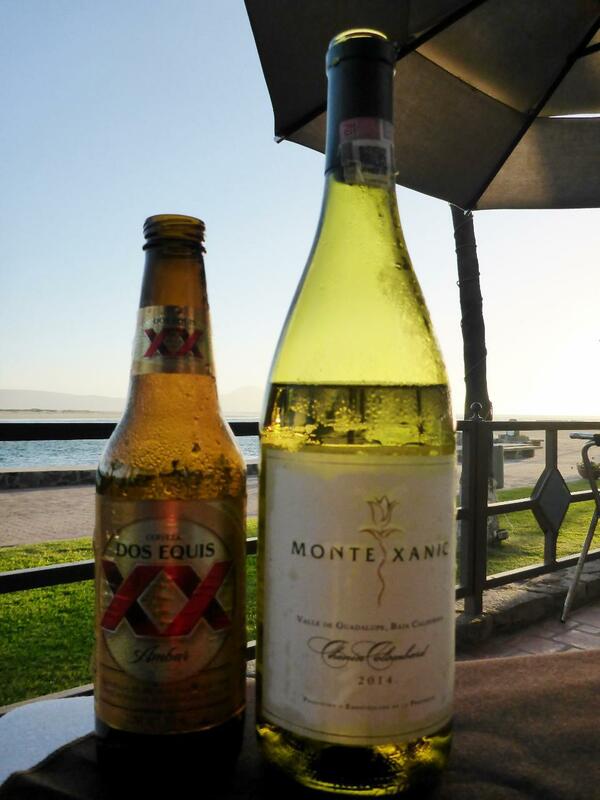 A fine Mexican beer and wine. 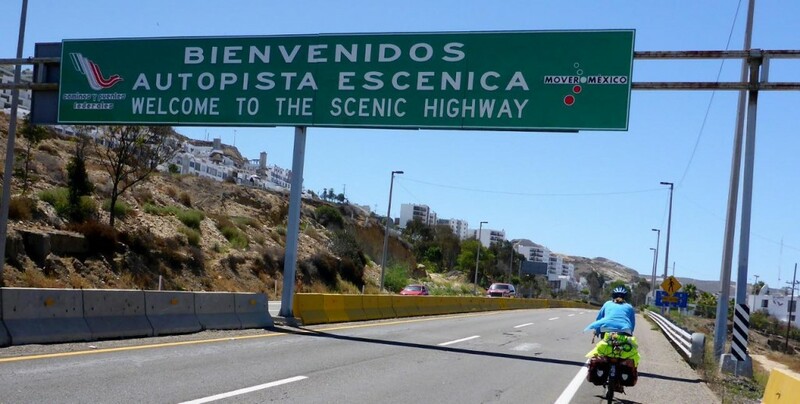 The free road to Ensenada travels along Mexican wine country. 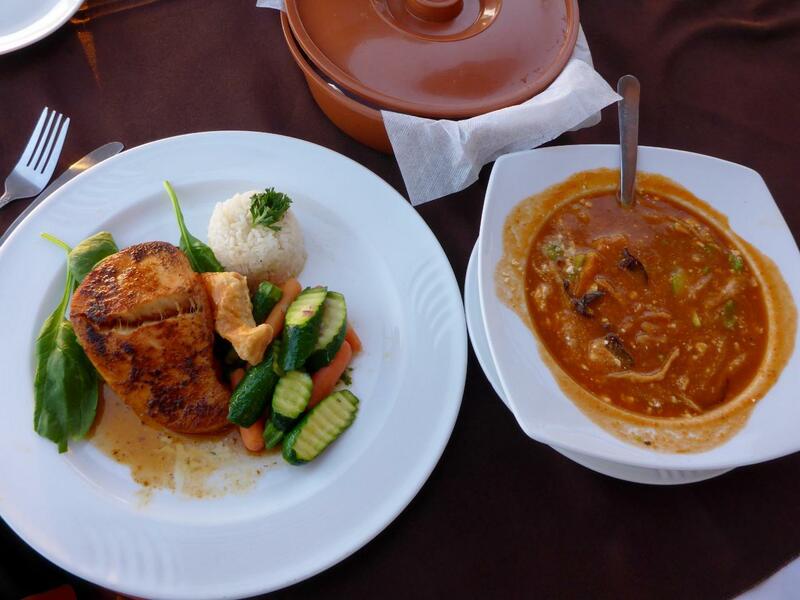 A fine black sea bass fish dinner along with tortilla soup.